Prof Emilio Luque, is an emeritus professor at the Computer Architecture and Operating System (CAOS) Department at the University Autonoma of Barcelona (UAB), Spain, where he is leading the HPC4EAS research group. He has been invited professor in different universities in USA, Asia, Europe and South America, key note speaker in Computer Science Conferences, leader in several research projects founded by the European Union (EU), the Spanish government and different companies and member of the Editorial Board of various Technical Journals. External Researcher at the Computer Science Lab "LIDI" and member of the Board of the PhD program in “Computer Science”, both at the National University of La Plata (UNLP), Argentina. His major research areas are: Simulation and optimization of Emergency Services in Hospitals (Smarter Health Services), Performance and scalability prediction in HPC systems, efficient management of multicluster-multicore systems and fault tolerance in parallel computers. He has been the supervisor of 22 Ph.D. theses, and co-authored more than 240 peer-reviewed technical papers in journals and conference proceedings. Simulation provides parametrizable tools (simulators) allowing us to "replicate/create" different possible situation, becoming the simulator a "sensor/generator" of "virtual-data", otherwise difficult or impossible to obtain from real systems or historical data bases. "Simulation based data" would expand "real-data", allowing us obtaining more reliable models, better predictions and more powerful and reliable support for helping Decision Support Systems. Donald Marinelli is the ‘Director of Innovation’ for Inven Global, the English-language website for Inven-Korea, the leading eSports and video game website in Korea with over an 80% market share. Dr. Marinelli is also Associate Director of the Entertainment Technology Management program at Columbia University in the City of New York, and a Visiting Professor in the School of Arts, Media, and Engineering at Arizona State University in Tempe, Arizona. Dr. Marinelli retired from Carnegie Mellon University in April 2012, concluding an illustrious 31 years of service to the university in a variety of capacities. Together with the late computer science professor, Randy Pausch (The Last Lecture), Dr. Marinelli co-founded the world-renowned Carnegie Mellon Entertainment Technology Center (ETC). Dr. Marinelli was also a tenured Professor of Drama and Arts Management at Carnegie Mellon University. Dr. Marinelli was integral in creation of the Carnegie Mellon University's Master of Arts Management program, the Master of Fine Arts in Acting degree program with the Moscow Art Theatre School in Russia, and the Master of Entertainment Technology degree program within the ETC. A native of Brooklyn, New York, Professor Marinelli completed his undergraduate degree at the University of Tampa. He received a M.A. in Clinical Psychology, specializing in Existential-Phenomenological Psychology from Duquesne University. Professor Marinelli subsequently attended the University of Pittsburgh where he received his Ph.D. in theatre history, literature, and criticism in 1987 with a dissertation on the early life and career of the Italian Futurist Filippo Tommaso Marinetti. His book about co-founding the ETC with the late computer science professor Randy Pausch, author of the critically acclaimed, The Last Lecture, was published in the spring of 2010 by Sterling Innovation, a division of Barnes & Noble. Titled The Comet and the Tornado, the book recounts the six years Don and Randy shared an office creating the center that has become recognized internationally as Carnegie Mellon’s “Dream Fulfillment Factory.” It was Barnes & Noble’s “Book of the Month” in April 2010. Dr. Marinelli is currently Executive Vice-President of Vissman Management, a merger, acquisition, and venture capital firm based in Pittsburgh. He has also served as an adjunct professor at Duquesne University in Pittsburgh, consults for numerous clients, and is a sought-after motivational speaker on the impact of digital media in education and society. Video gaming can no longer be considered a panacea for all things ailing business, entertainment, education, and society. There is no doubt that interactivity is now part of human ontology, as integral to being human as our own metabolism. For the past decade, however, video games and their peripheral technologies have been hyped unrealistically, promising transformation over experience, postulating huge economic gains and educational and entertainment advancements within unrealistic timeframes. This talk aims to be a reflection on the current state of the video game industry. It seeks to instill a sense of reality to what has occurred to date, and what is likely to occur in the near future. It takes on the hyperbole of late, recalls the grassroots surprises of the industry in the past, and seeks to establish a realistic connection to what brought us to gaming, and how we can still find and make joy - and a living. Sergio M. Savaresi was born in Manerbio, Italy, on 1968. He received the M.Sc. in Electrical Engineering (Politecnico di Milano, 1992), the Ph.D. in Systems and Control Engineering (Politecnico di Milano, 1996), and the M.Sc. in Applied Mathematics (Catholic University, Brescia, 2000). After the Ph.D. he worked as management consultant at McKinsey&Co, Milan Office. He is Full Professor in Automatic Control at Politecnico di Milano since 2006 . 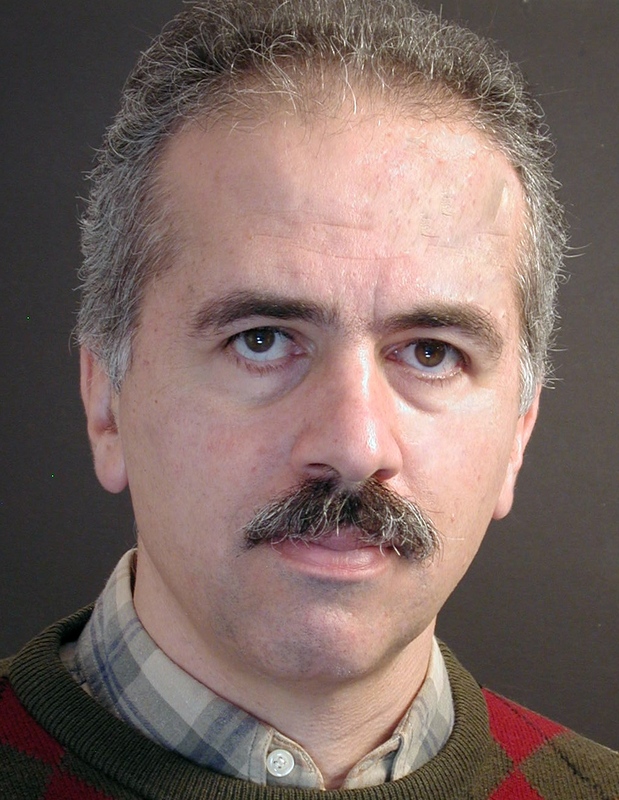 He is Deputy Director and Chair of the Systems&Control Section of Department of Electronics and Computer Sciences, Politecnico di Milano. He is Associate Editor of: IEEE Transactions on Control System Technology; European Journal of Control; IET Transactions on Control Theory and Applications; Control Engineering Practice; International Journal of Vehicle Systems Modelling and Testing. He is also Member of the Editorial Board of the IEEE CSS. He is author of more than 500 scientific publications. His main interests are in the areas of vehicles control, automotive systems, data analysis and system identification, non-linear control theory, and control applications. He is cofounder and partner of five spin-off companies. Personal mobility (in particular in urban and metropolitan areas) will face substantial changes in the next decades. The introduction of autonomous (electric) vehicles, new models of distributed ownerships of vehicles, and multi-modal mobility with light vehicles, will profoundly modify the mobility habits of people in densely populated areas. Smart technologies (deeply grounded on connectivity) will lead this “revolution”. The keynote speech will briefly outline the evolution of personal mobility, emphasizing the technology pillars on which this evolution will be based on. Luis Enrique Sucar is a Senior Research Scientist at the National Institute for Astrophysics, Optics and Electronics, Puebla, Mexico. He has a PhD in Computing from Imperial College; is Member of the National Research System, the Mexican Science Academy and Senior Member of the IEEE. He is associate editor of the Pattern Recognition Journal, and received the National Science Prize in Mexico. His main research interests are in probabilistic graphical models and their applications. Gesture Therapy is a virtual rehabilitation system that helps to recover the movement of the upper extremities to persons who have suffer strokes and other neurological problems. It includes a set of specially designed serious games for rehabilitation, a patented gripper that allows two track the motion of the patient hand in 3D and also measure pressure, and the ability to adapt automatically to the progress of the patient. In this talk I will describe the development of Gesture Therapy, since its conception as an idea until its current status as a commercial system; and also some of the current developments such as automatic evaluation of the patient progress and estimation of her affective state.